Combines two revolutionary approaches to tuning lever design. 1. The Professional is shaped like the letter "C"
Made of common and easily worked steel tubing, the Professional is less expensive and has a lower environmental impact than premium levers made with rare, difficult-to-work materials such as exotic tropical woods, carbon fiber, and titanium. ..but when you use a C-lever, you work from a position of mechanical advantage. ...but when you use a C-lever, you can steady your elbow on the back. 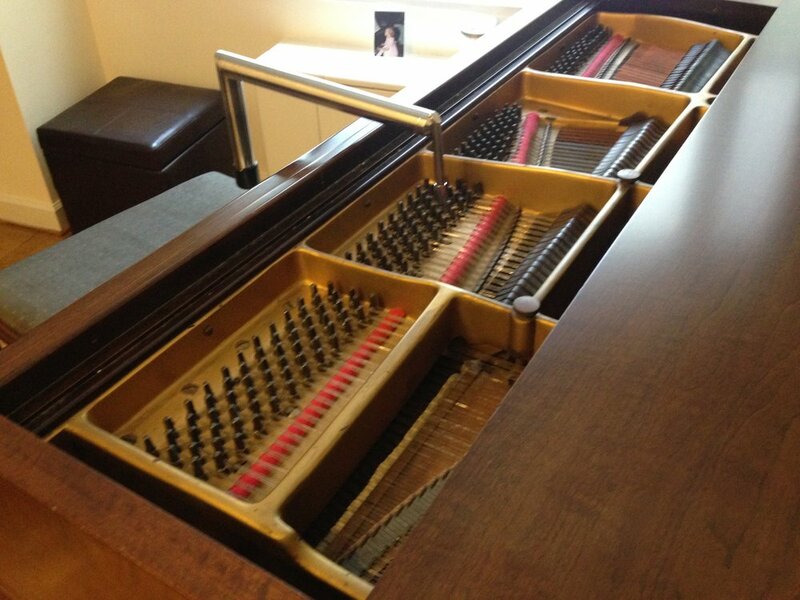 ...but when you use a C-lever, you can tune the high treble the same way you tune the rest of the piano. ...for example, to chip the fourth string of a Bluthner. ...you can leave it intact. ...unless the fall board has been removed. ...but the Professional clears it easily. ...but for the times it doesn't, you'll need to carry an L-lever. 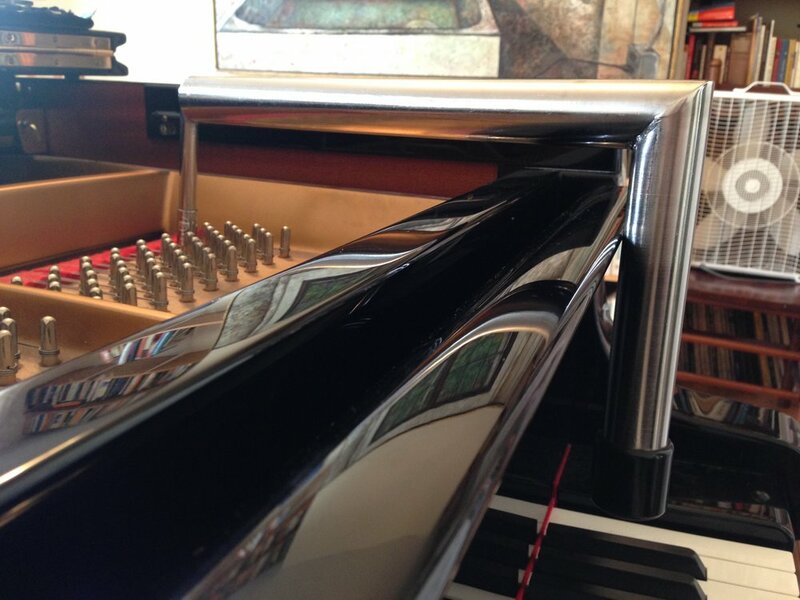 You'll also need an L-lever for pianos like the Steinway/Aeolian O. Length, center of head to end of handle: 13 1/2"
Height, end of tip to underside of shank: 3 5/8"
Shank: Stainless steel; overall diameter, 1.25"; wall thickness, 0.035"